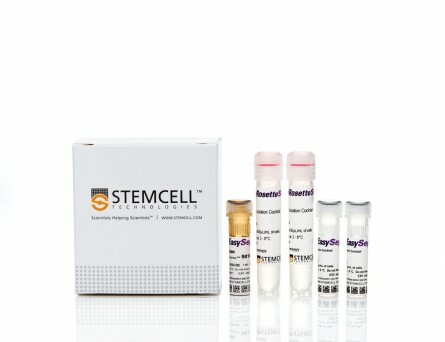 StemSpan™ T Cell Generation Kit has been developed to differentiate CD34+ cells isolated from cord blood (CB) to T cells, without use of stromal cells. 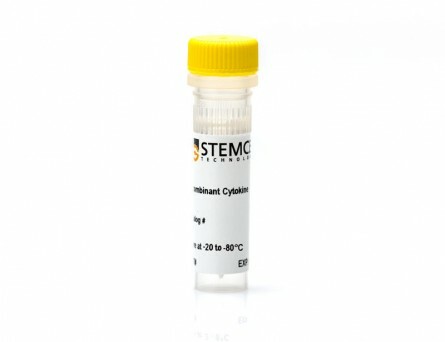 This kit typically promotes the expansion of thousands of CD3+TCRαβ+ T cells in cultures initiated with CD34+ human CB cells. 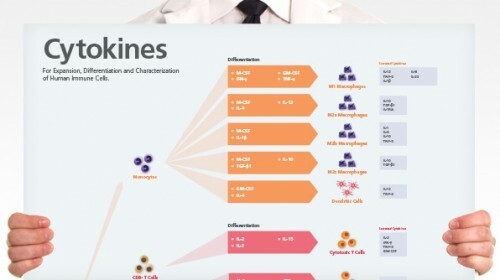 At 6 weeks, the majority of these cells are CD4+CD8+ double-positive (DP) cells, and can mature to CD8+ single-positive (CD8 SP) T cells after an additional week of stimulation. 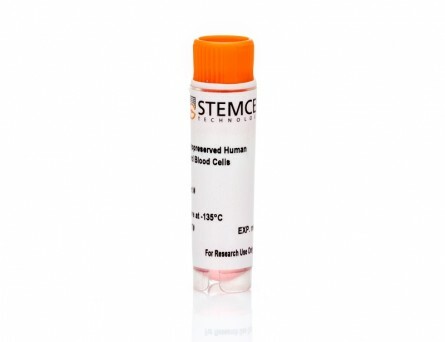 StemSpan™ Lymphoid Progenitor Expansion Supplement (10X) contains a combination of recombinant human cytokines and other additives formulated to selectively promote the expansion and differentiation of CD34+ cells isolated from human CB samples to CD7+CD5+ progenitor T (pro-T) cells. 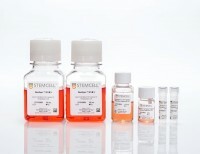 Additionally, StemSpan™ T Cell Progenitor Maturation Supplement (10X) enables further maturation of pro-T cells to DP cells. 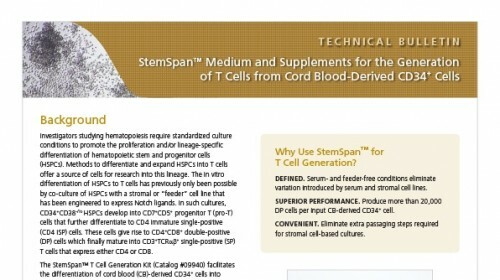 It also supports maturation of DP cells to CD8 SP T cells with additional stimuli. 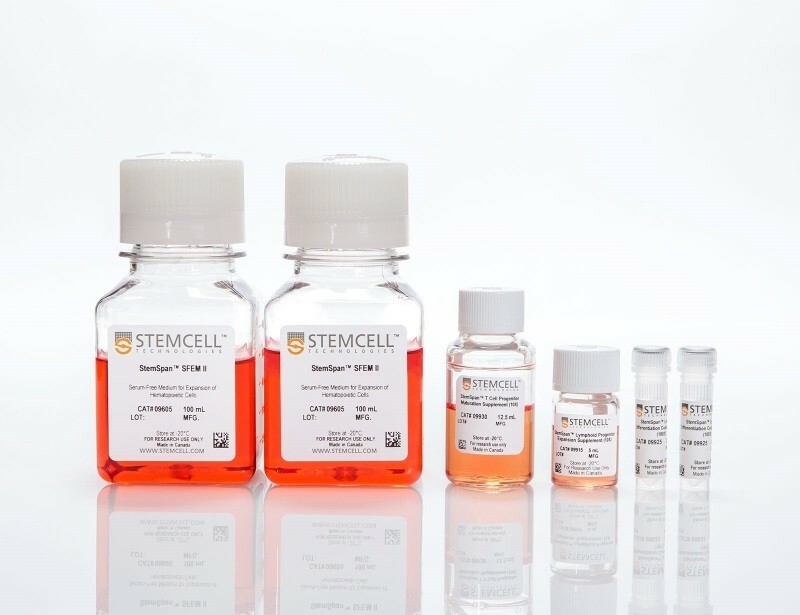 StemSpan™ Lymphoid Progenitor Expansion Supplement (10X) and StemSpan™ T Cell Progenitor Maturation Supplement (10X) are intended for use in combination with StemSpan™ SFEM II medium, and on plates coated with StemSpan™ Lymphoid Differentiation Coating Material (100X). 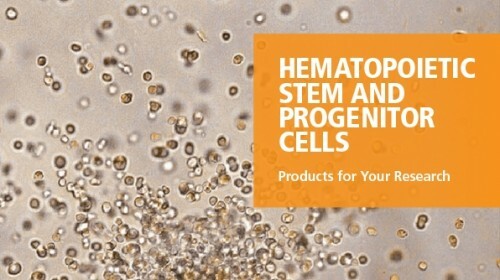 CB-derived CD34+ cells (freshly isolated or frozen) were cultured for 14 days in StemSpan™ SFEM II containing Lymphoid Progenitor Expansion Supplement (Catalog #09915) on plates coated with Lymphoid Differentiation Coating Material (Catalog #09925). 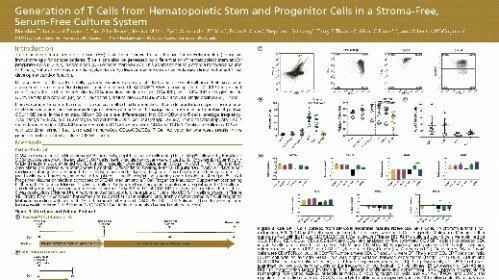 Cells were harvested and analyzed for CD7 and CD5 expression by (A) flow cytometry. The (B) average frequency of viable CD7+CD5+ pro-T cells on day 14 was 70%, with ~200 CD7+CD5+ cells produced per input CD34+ cell. Shown are means with 95% confidence intervals (n = 33). 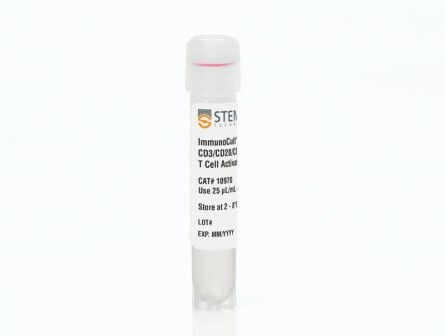 CB-derived CD34+ cells (freshly isolated or frozen) were cultured with the StemSpan™ T Cell Generation Kit (Catalog #09940) for 42 days and (A) analysed by flow cytometry for the expression of CD4, CD8, CD3 and TCRαβ. The (B) frequency and (C) yield of CD4 ISP, double-positive (CD4+CD8+) and CD3+TCRαβ+-expressing double-positive cells (CD4+CD8+CD3+TCRαβ+) are shown. On average, 38% of the total viable population were DP (CD4+CD8+), of which 35% co-expressed CD3 and TCRαβ. The yields of total DP cells and CD3+TCRαβ+ DP cells per input CD34+ cell were ~23,000 and ~9,000, respectively. Shown are means with 95% confidence intervals (n = 31).